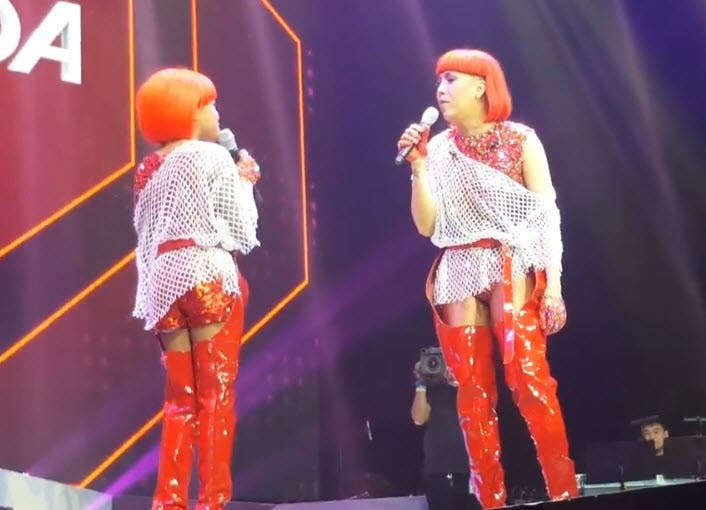 Vice Ganda and his special guest, “Your Face Sounds Familiar Kids” star Awra Briguela, grilled each other on Tuesday, February 14, during “Pusuan Mo Si Vice Ganda sa Araneta” Valentine’s concert at the Big Dome. Donned in similar costumes, Vice and Awra exchanged banters to the delight of the crowd. For more videos, please subscribe to our YouTube channel at www.youtube.com/starmometer.